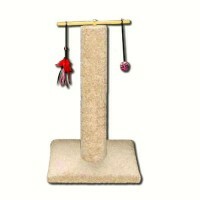 Your cat can support your team too with this Pittsburgh Steelers breakaway cat collar! 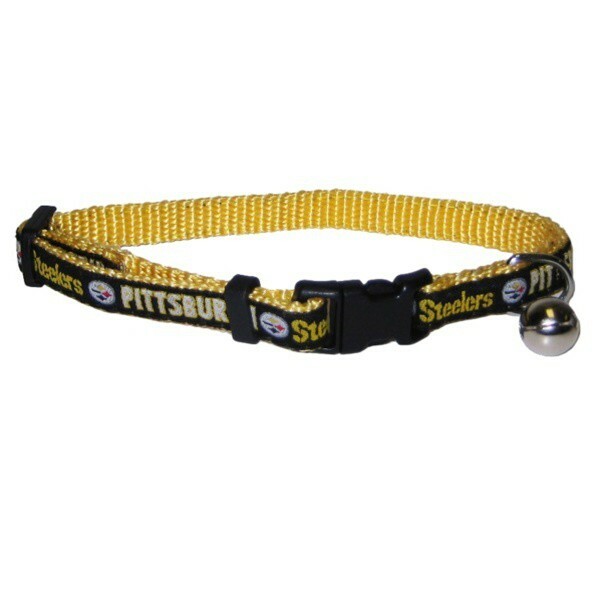 This Pets FIrst cat collar is made of nylon featuring woven ribbon with the Pittsburgh Steelers's team graphics and a traditional tiny bell. 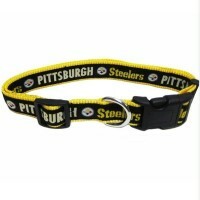 For your cat's safety this collar has a breakaway lock to protect your pet, because of this it should not be used with a leash. 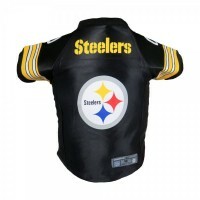 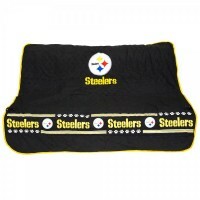 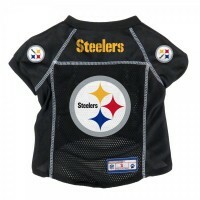 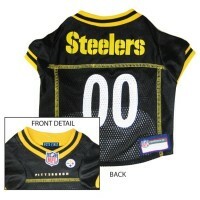 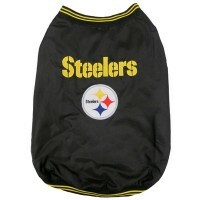 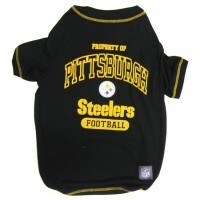 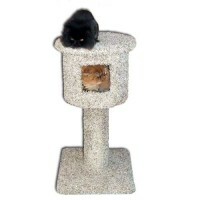 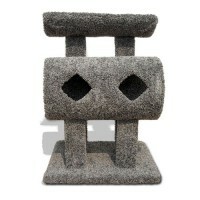 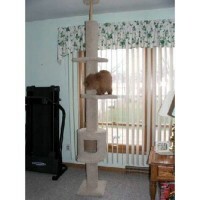 Your pet can support your team in style in this Pittsburgh Steelers premium style pet jersey. 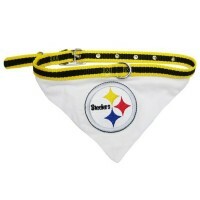 This g..